This school was founded in 1732 by Anne, 5th Countess of Salisbury for forty girls, twenty of whom she chose and paid for. 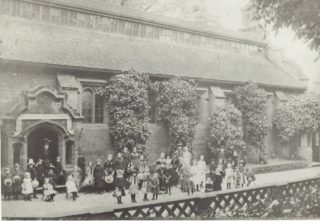 The original school was near Lawn House next to the Estate Offices in Hatfield Park. It later moved to the Town Lodge at the top of Fore Street. In the 1870s, it moved to Church Street when it took over a building that had been erected in the 1860s as a temporary church whilst the Parish Church was being restored. By 1900, the school comprised twenty Foundation Scholars – mainly the daughters of men in charge of various departments of the Estate – plus the daughters of local tradesmen, who paid fifteen shillings per quarter. Countess Anne’s Charity School closed in July 1912 and, in 1913, the building was taken over by the Church of England Infants’ School which was duly renamed Countess Anne Primary School. 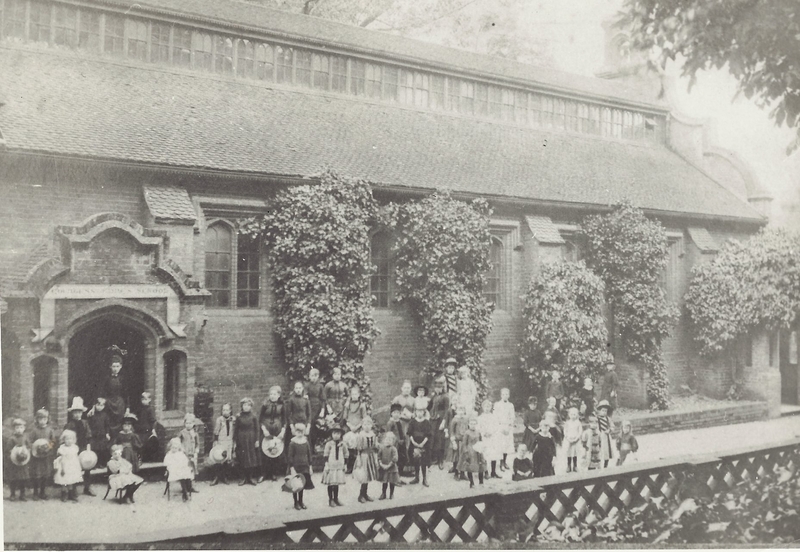 These were infants who until then had been part of London Road School. 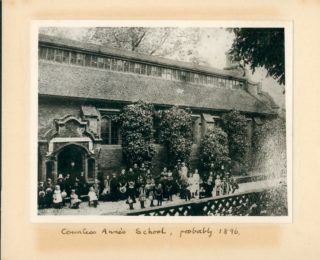 They remained in Church Street (in what is now the Parish Hall) until 1962 when they transferred to the rebuilt St Audrey’s School in Endymion Road. See the separate article on Countess Anne Primary School for a continuation of the school’s story.